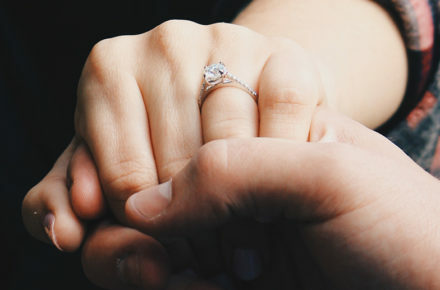 You’re engaged and planning a wedding. You have the perfect dress, color scheme, and florist. Your timeline is planned perfectly by the minute. It starts with you getting ready, but how does it end? Leave your guests with a little bit of ‘spark’ and do a sparklers grand exit! First and foremost, make sure sparklers are acceptable at your venue. If not there are some new “sparkless sparklers” out on the market. Perhaps take a look into those. Tell your photographer about your choice as soon as possible. These shots might look casual but a lot of careful planning goes into them. Speaking of photographers, make sure your photographer will still be at the reception when it’s time for your grand exit in the dark. Most of the time photography pagckages allow for a certain number of hours, and if your photographer has been with you since getting ready mid-morning, you may be out of time halfway through the reception. Choose sparklers that are relatively long. Chances are your guests won’t light all of them at the same time so keeping them long allows for some wiggle room. You don’t want half of the guests sparklers to run out before you make your grand exit! Make sure you have lighters on hand, and adults who know how to use them. Pick a location that is both picturesque and safe. Most of the times your venue will have recommendations and can tell you the best spot! Try to stay off the grass and on the concrete/gravel. Assign a family member or a friend to organize everyone before your exit. Speak with them and the photographer ahead of time on what the formation will look like. Make sure there is enough room for you and your new spouse to run through and not risk being burned. Prepare a pose to do at the end of the formation to be photographed. Try a kiss, a twirl, a dip, just make sure that it showcases your personality! If you’re leaving in a getaway vehicle make sure it is waiting at the end for you. Enjoy! Reflect on the special day that you just experienced with the love of your life.